This float is standard on the Hobie Wave. Great for Hobie 14 and 16 as well as many other boats with mast castings capable of bolting on in a similar fashion. The Bob can be modified by you to fit many other small sailboats including Hunter and Capri boats. You can use in conjunction with shroud extending righting systems for complete re tensioning while out on the water. Requires shrouds to be shortened. 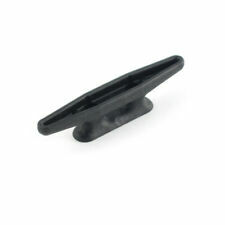 Hobie Cat part # 10049 Quick release hayfield lever includes quick release pin to lock in closed position. New hobie mast float kit mama bob. the part in the picture is the part you will receive. These are the best trapeze handles on the market. They are made with coated wire, are easy to get hooked up on, and do not hurt when they snap back at you. They also are available with a white handle that makes it easy to get the right one; one for the skipper and one for the crew. This is a new swivel cam cleat with bullseye Hobie part # 50007. this cleat is used on the traveler for many of the Hobie models and also on the newer up release jib systems on the Hobie 16. We have been sailing Hobies for over 40 years, starting with a 1971 Hobie 16, sail number 910. 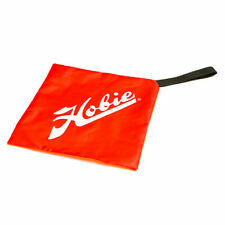 This is Hobie Part # 3121 Deluxe Hobie sail bag. Stop fighing with your sail and boom cover. We have been sailing Hobies for over 40 years, starting with a 1971 Hobie 16, sail number 910. We still have a Hobie 21 at Brookville Lake, Indiana and still loving it. The answer to “What to do with all the jib halyard?”. Part# cm7732. We have been sailing Hobies for over 40 years, starting with a 1971 Hobie 16, sail number 910. We still have a Hobie 21 at Brookville Lake, Indiana and still loving it. 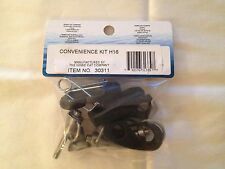 This is Hobie Part # 30306 Spare parts kit for Hobie 16. We have been sailing Hobies for over 40 years, starting with a 1971 Hobie 16, sail number 910. We still have a Hobie 21 at Brookville Lake, Indiana and still loving it. Item #11520005. 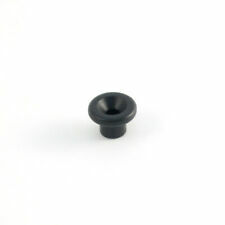 Use on Hobie 14, Hobie 16, Hobie 17, and Hobie 18 steering systems. We have been sailing Hobies for over 40 years, starting with a 1971 Hobie 16, sail number 910. We still have a Hobie 21 at Brookville Lake, Indiana and still loving it. Part Number 270380. HOBIE CAT® 14 & 16 CATAMARAN. pin and stainless steel pull ring. Fits the Hobie Cat® 14 and 16 and. Can be adapted to the Hobie Cat® 14 Turbo or 18. 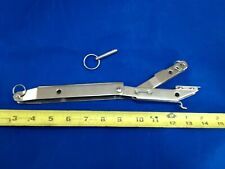 Hobie Cat Co. STANDARD BRIDLE VANE FOR THE. Hobie Part # 5150XXL. We have been sailing Hobies for over 40 years, starting with a 1971 Hobie 16, sail number 910. We still have a Hobie 21 at Brookville Lake, Indiana and still loving it. Call the Hobie Experts at Strictly Sail Inc.
New Trapeze wires (2) White coated for Hobie 16 with Shockcord part # 1472W. We have been sailing Hobies for over 40 years, starting with a 1971 Hobie 16, sail number 910. We still have a Hobie 21 at Brookville Lake, Indiana and still loving it. This tool will compress oval nicropress for 1/16″ 3/32″ and 1/8′. We have been sailing Hobies for over 40 years, starting with a 1971 Hobie 16, sail number 910. We still have a Hobie 21 at Brookville Lake, Indiana and still loving it. Blue and white. We have been sailing Hobies for over 40 years, starting with a 1971 Hobie 16, sail number 910. We still have a Hobie 21 at Brookville Lake, Indiana and still loving it. Call the Hobie Experts at Strictly Sail Inc. This is Hobie Part #3125 Comptip cover for top of masts. Fits Hobie 16, Hobie 18, and Hobie 20. This cover is very important for the life of your comptip. Keep it out of the weather and sun to make it last longer and keep it clean. Used on back of mainsail battens. We have been sailing Hobies for over 40 years, starting with a 1971 Hobie 16, sail number 910. We still have a Hobie 21 at Brookville Lake, Indiana and still loving it. Hobie Bob Mast Float. We have tons and tons of used Beach Cat parts. Everything from hulls to sails and all the little stuff thats hard to find. Most could stand to be cleaned or polished. If we see any noticable defects, we make every effort to point them out. Existing lacing does not need to be undone. We have been sailing Hobies for over 40 years, starting with a 1971 Hobie 16, sail number 910. We still have a Hobie 21 at Brookville Lake, Indiana and still loving it. 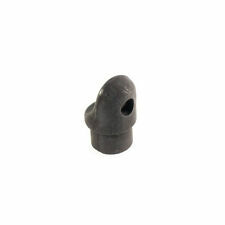 Garmin GT51 Ready Transducer Mount (Suits Hobie). We have been sailing Hobies for over 40 years, starting with a 1971 Hobie 16, sail number 910. We still have a Hobie 21 at Brookville Lake, Indiana and still loving it.